Many disease states are associated with low-grade chronic inflammation that may result in detectable changes in inflammatory proteins that can be measured in biological fluid such as serum and plasma, making them valuable biomarkers. Measurement of these biomarkers may be therefore be useful for detecting diseases before they present and/or offer information on the mechanisms of disease, they may represent treatment targets or be helpful in evaluating treatment responses and predicting outcomes. Our research focuses on measurement and use of inflammatory markers in different populations characterized by low-grade systemic inflammation focusing on cardiovascular disease and risk, neuropsychiatric disorders, and metabolic endocrine disease. We have a close collaboration with the department of cardiology and analyzing inflammatory markers in blood and tissue in well characterized cross-sectional cohorts and clinical trials in patients with heart failure, acute coronary syndromes and aortic stenosis. In these studies we evaluate biomarkers, reflecting a wide range of inflammatory processes, as predictors of adverse outcome and treatment responses. A focus in these studies is investigating the impact of Wnt signaling and secreted Wnt antagonist in these conditions. We have a close collaboration with the endocrine unit, analyzing inflammatory markers in patients characterized by growth hormone deficieny (GHD) and excess (acromegaly) as well as gluccocorticoid excess (Cushing syndrome). We also have a tight collaboration with the women and children center evaluating the impact of systemic inflammation in pregnancy on future cardiovascular and metabolic risk. These studies investigate the association between hormones and inflammatory mediators and impact on metabolic disturbances in different target tissues such as adipose tissue and bone with special focus on glucose metabolism. 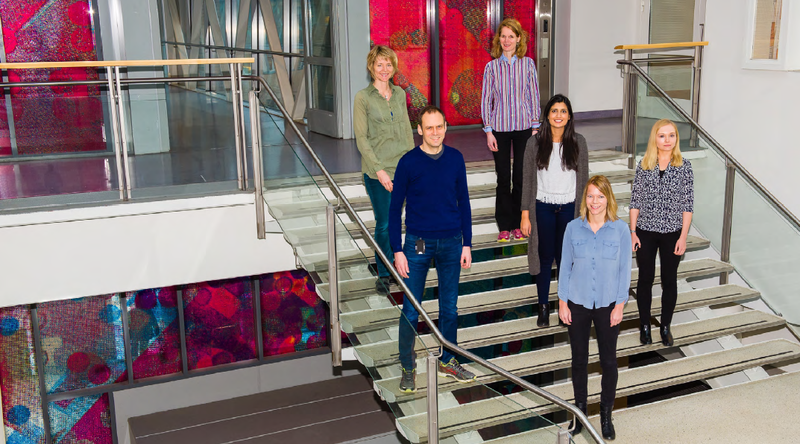 We have a tight collaboration with the Psychosis Research Centre Thematically Organized Psychosis Research (TOP) group, analyzing inflammatory biomarkers in patients with schizophrenia and bipolar disorder. In these studies we focus on markers in serum/plasma as well as mRNA levels in circulating immune cells that may reflect neuroinflammation and further, investigate associations with immune-related candidate risk genes within the major histocompatibility complex, identified by genome-wide association studies (GWAS). In addition, we have strong collaborations with other clinical research, national and international.